Questions enable us to clarify our priorities, what is taking place in our lives and how we are coping in the world we share with others. God’s first question to human kind in the early pages of the bible: “where are you”? (Genesis 3:9) is a question each one of us is called to answer and a question which we are called to answer together. It is a question which is of huge importance and the answer to which is very informative and revealing in our culture today. The rugged jagged edges of the slopes of Croagh Patrick challenge and question us. We are very conscious of the slow silent decline of faith in Ireland. Many feel they are ‘strangers in a strange land’. Pilgrimages provide an opportunity to take stock but also a time to discover new heart. Croagh Patrick, long seen as one of the acid tests of continuing practice throughout the country, was always far more than that. It was never simply a communal celebration of the status quo. Its uncompromising and inhospitable terrain, cut through all groupthink and sentimentality and roughly summoned the individual believer back to the absolute rock bottom, the ‘ground zero’ of his or her experience. Back to the desert, so to speak, where any believer in Jesus Christ can share prophecy with Moses, and God is encountered face to face. We are familiar with the way in which we have questioned our faith but we also need to be questioned by our faith. We need that encounter as never before, as individuals and as Church. As in the Roman Empire, the Church, again small, peripheral, suspect and despised, faces a brilliant, glittering and self-assured civilisation. Short and medium-term goals animate terrific and sustained concentration and effort. In politics, business, entertainment and sport careers are made, unmade or simply just die unnoticed, all at a tremendous pace. Our educational system makes fewer and fewer bones about the socio-economic goals of learning and there is less and less value placed on knowledge for its own sake and wisdom as an end in education. The questions are also of the short and medium-term: Where? When? How? There is little patience for the questions of “Why?”. But God is not in the hurricane or the earthquake or the fire (1 Kg 19: 11-13). He is not the bewildering competition of sounds and voices saying variations of nothing. He is in the ‘still, small voice’ (1 Kg 19: 12). To hear Him, we must, like Elijah, forsake familiarity, comfort and safety and go out to the entrance of the cave (1 Kg 19: 13). We must perfect a key skill of our trade as disciples, a hard skill: we must learn to listen. And to listen we must learn to be quiet, to stop our incessant chatter, to look away from the social mirror which allegedly tells us who we are. It would be easy, as Church, to avoid the long, hard personal journey. To spend all of our remaining energy on desperately vying for the attention of this culture. Grabbing any chance to speak to society as a whole. To address the nation from any pulpit at which it will now briefly gather. The truth is that we must ensure before talking that we have something to say. No prophet goes to the people without having first listened to God. The process cannot be reversed. The one must always precede the other.  Today the Church in Ireland is callded to return, for the umpteenth time in the repeated ebb and flow of its long history, to penance and prayer. To begin yet again that historical process of Christian discernment which has at its heart the attitude of listening ‘…to what the Spirit is saying to the churches”. Could it be that we yet have our best work to do? And that this work will be done by a small, socially and politically peripheral and poorer Church? A Church which has rediscovered through adversity the honesty and authenticity of the suffering servant, the prophet, the abandoned Messiah? A Church which has rediscovered its own ancient wisdom and which places God first, confident that all will then be well? Just as once we were consulted and heard in the most powerful circles, now we must get used to preaching on street corners and making the Gospel heard over the incessant hubbub of the public square. What will we have to say? Are we to become enmeshed in an endless pattern of reaction, forever back-footed by events or do we take the opportunity now to come in from the desert, from places like this and the necessary retreat and recollection they symbolise, and give the Good News of God’s love and grace? Unbidden and even unwanted? An outright free gift at God’s initiative? If we have one mission it is surely to subvert the closed shop that is the modern western world view and to startle that careful, calculating world with the unaccounting largesse, the generosity, the hospitality of God. We are indeed strangers here. The truth is that we always were. For all its grandeur, and there is no shortage of grandeur in the view from this mountain, this world is too small for us. We will not be strangers for ever. The call of Croagh Patrick is not to unthinking and endless renunciation. It is simply a call to powerful things beyond the frail and undependable present. It is a call to holiness: to meaning, belonging and home.